Who gets sued when the system fails? Is it the human driver? The OEM? The software developer? The sensor developer? The city whose undermaintained lane markings caused the car to fail? The issue not only has an impact on customer acceptance of the technology but private passenger insurance policies. On Wednesday, Volvo indicated it would accept “full liability” if its cars get in a collision while operating autonomously. The OEM said President and CEO Håkan Samuelsson will officially say as much Thursday in a Washington, D.C., speech, and the company shared other highlights of his expected comments. Google and Mercedes also told “60 Minutes” they’d accept liability as well. “We are constantly evolving defensive software to counter the risks associated with hacking a car. We do not blame Apple, or Microsoft for computer viruses or hackers,” Samuelsson is expected to say Thursday. He’ll also urge the U.S. to come up with some sort of national guidelines, arguing that 50 different state rules for self-driving cars would make it hard for OEMs to manage the technology. “The absence of one set of rules means car makers cannot conduct credible tests to develop cars that meet all the different guidelines of all 50 US states,” he is also slated to say. He’ll also stress that lawmakers might be caught off-guard by how quickly such vehicles will be ready for U.S. roads. 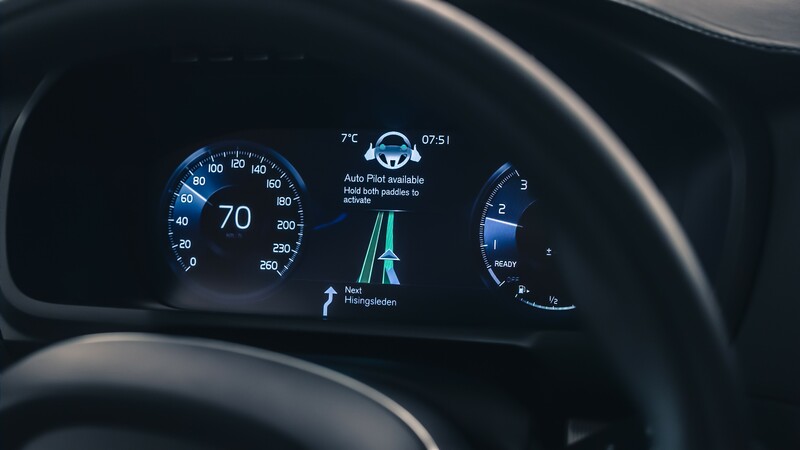 Also this week, Volvo unveiled a steering wheel and dashboard interface designed to let drivers easily shift between having the car drive and doing the work themselves. 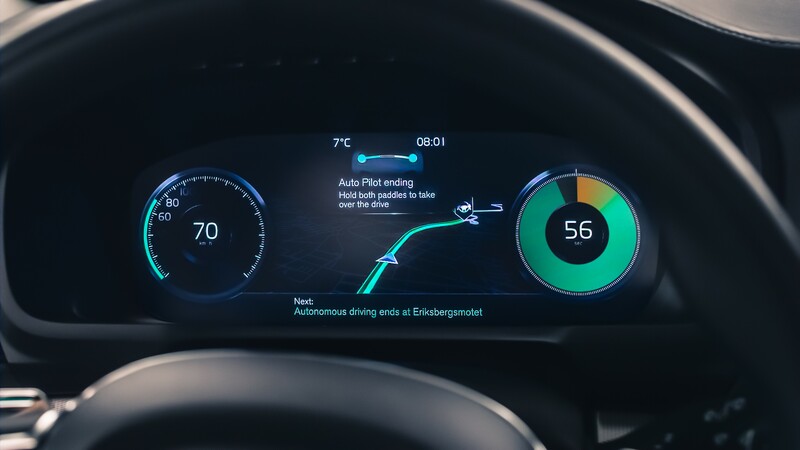 The technology, known as “IntelliSafe Auto Pilot,” tells the driver they’re on a route where the car could safely take over the steering. That would presumably be a highway, where everyone seems to agree self-driving car technology works well, as it’s unclear how the car would know about the other ideal self-driving situation of metropolitan gridlock. 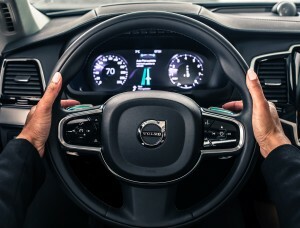 The driver pulls two paddles on the steering wheel, indicated at that time by flashing lights, and the lights go green to confirm the car has the conn.
“We have designed a user interface that is safe and seamless to use so that drivers can confidently transfer and regain control of the car,” Volvo design Senior Vice President Thomas Ingenlath said in a statement. The technology will appear in 2017 on 100 XC90s given to the Drive Me project in Gothenburg, Sweden. Residents will be allowed to use the cars in their daily life over about 31 miles of roads to test out the self-driving technology. If all goes well, Volvo wants to roll the system out to consumers. The technology looks like it could ultimately cut into Swedish and ultimately U.S. collision repair business, though collision severity at first might be much higher should such XC90s get into a crash given all the new technology to buy, install and calibrate.